Friday, March 13, was an especially lucky day in the Dallas office because it was the long anticipated inaugural Dallas Smart Circle Chili Cook-Off. The nine entries ranged from an inviting sweet and spicy to ONLY IF YOU DARE 5 alarm! 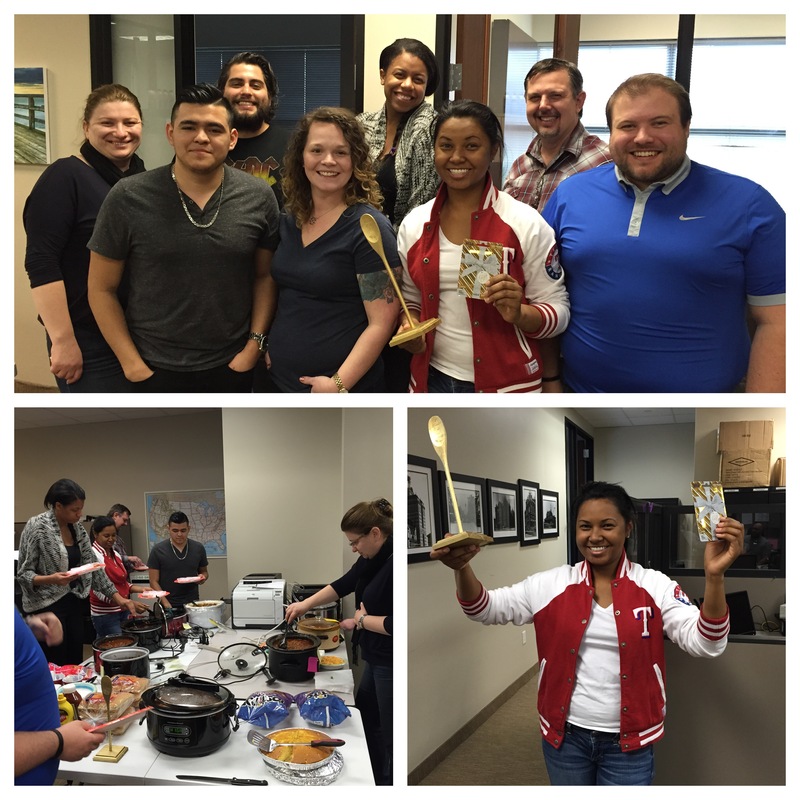 The coveted Golden Spoonful of Texas went to Danielle Dolton, for her outstanding Sweet and Spicy Texas Turkey Chili. Unfortunately we can’t share the many secret ingredients that made up Danielle’s award winning recipe, but ask anyone who tasted it and they’ll tell you, it blew the socks off of the competition! Back to the cooking pots for another year everyone. In the meantime, another bowl Danielle? Are You Prepared To Win?